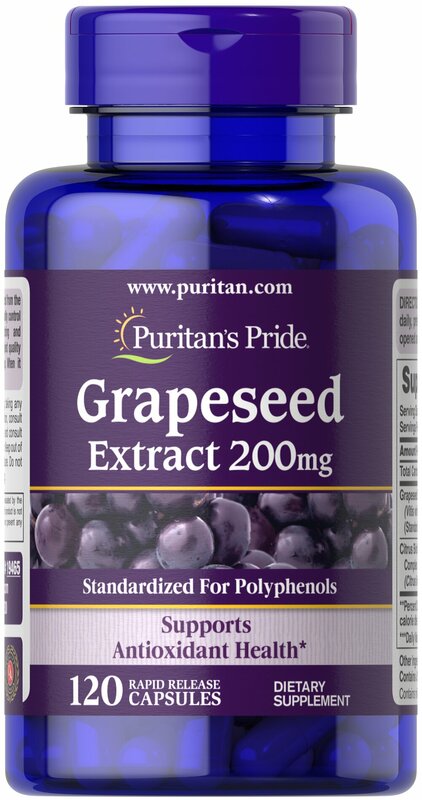 Grapeseed Extract helps maintain antioxidant health. ** It contains oligomeric proanthocyanidins (OPCs), which are naturally occurring bioflavonoids. Free of yeast, wheat, sugar, preservatives, soy, gluten, fish, artificial color, artificial flavor and sodium (less than 5 mg per serving). Standardized to contain 50% Polyphenols. No Artificial Color, Flavor or Sweetener, No Preservatives, No Sugar, No Soy, No Gluten, No Wheat, No Yeast, No Fish, Sodium Free.